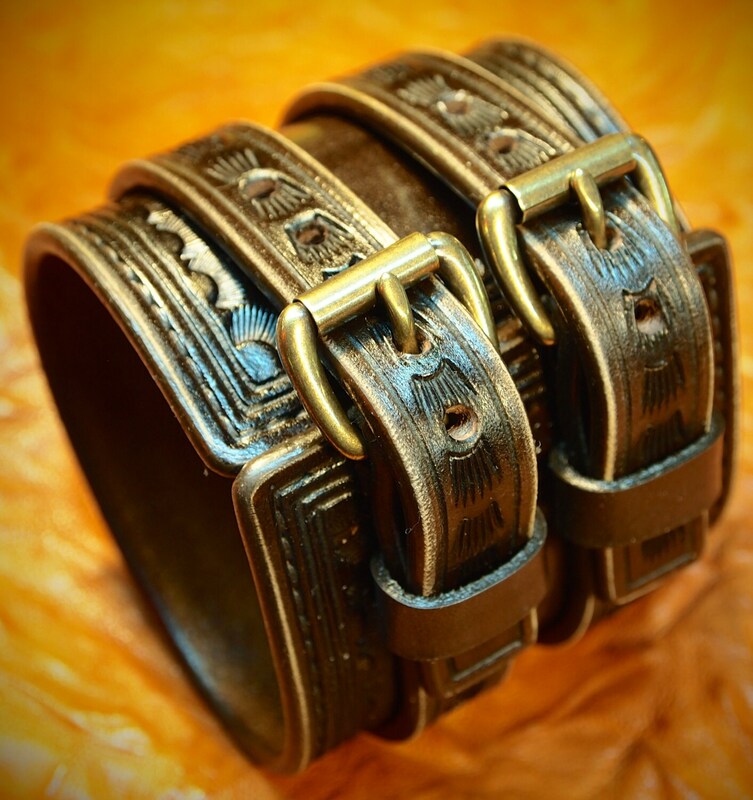 This unique brown leather wrist cuff uses natural vegetable-tanned leather and is Hand tooled,scribed,edged,and stamped with an original western border design. It is 2-3/4" wide and 2 straps run over the main cuff . I use period correct Western techniques and no electric tools. 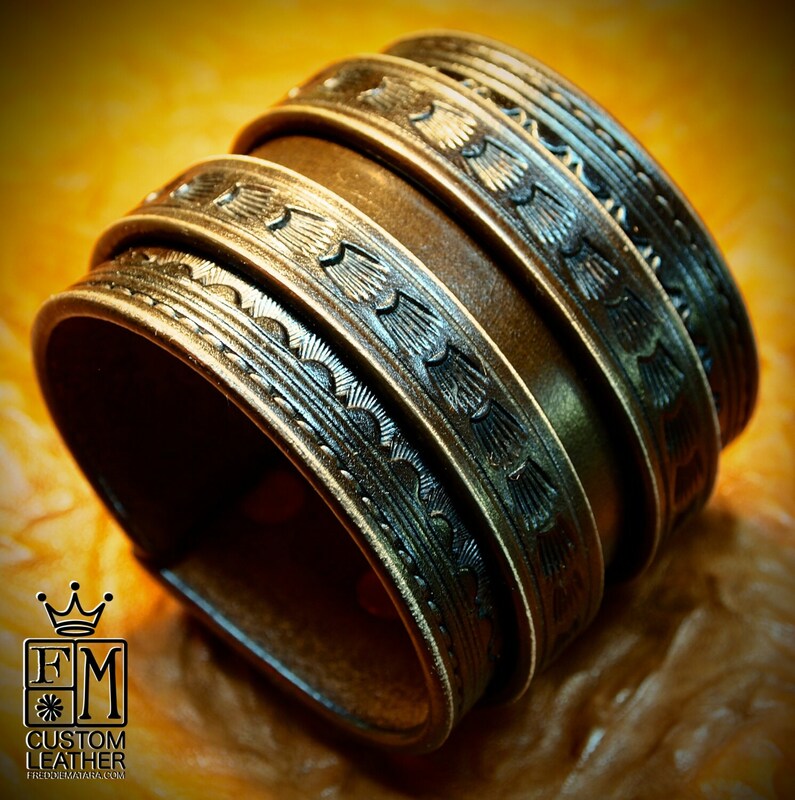 It is finished in a vintage brown dye, distressed and hand rubbed with custom wax creating a unique vintage look. 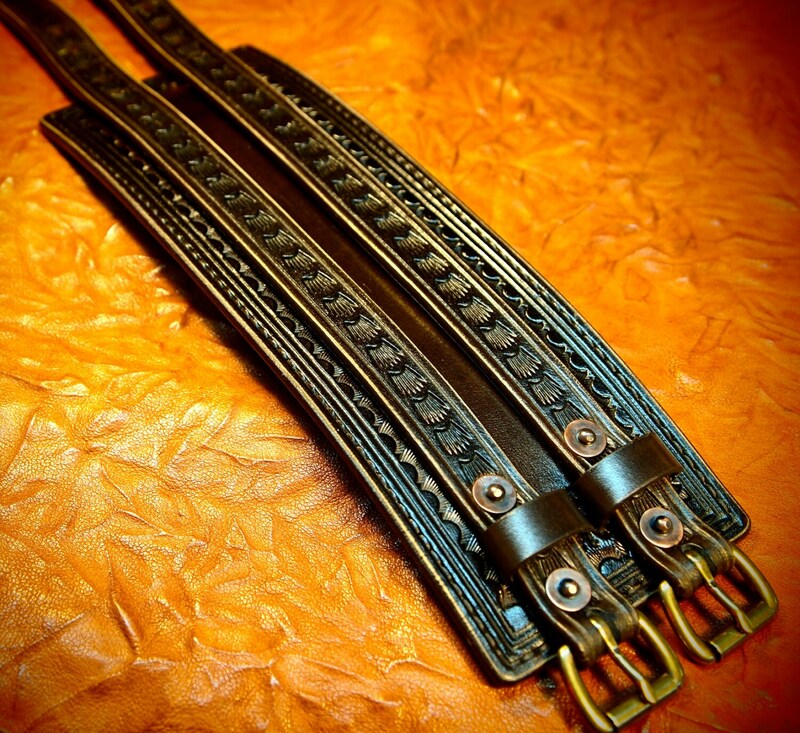 Aged buckles and vintage copper rivets provide the closure!!! Excellent, great fit very functional real leather moves with your body, buy it!